India stands at a critical juncture today, with strong economic growth and a young population that offers an opportunity few countries have. However shortage of an appropriately skilled workforce is emerging as a significant and alarming issue to India's growth and future, and this is happening across many industries. India Inc. requires nearly 12.8 million new skilled workers to join different industry verticals every year, while India's education and vocational training system churns out a paltry 3-4 million annually. Given the current high-paced growth and dynamic investment climate in India, the demand for candidates with high levels of technical and soft skills will only increase. With expansion taking place across sectors: IT/ITES, Telecom, Mobility, Automobile sectors there's a huge need for skilled candidates. Hence, this growing skill-gap needs to be addressed urgently, as India Inc. strives to maintain its position in the global marketplace. As a result, more and more employers are investing in training programmes, to enable their employees and business operations to be more competitive. 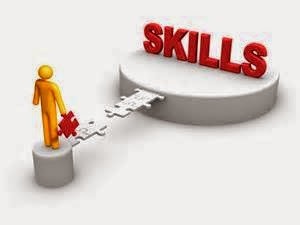 To manage this massive skill gap, recruitment and training firms like Nex-G Skills is coming into being. With a vision of proving itself as a forerunner among training companies across globe, the organisation's focus is to assist clients in skill enhancement, enabling them improving productivity. Mobility - Android, iPhone training, Cross Platform (PhoneGap / SenchaTouch / Titanium) etc. Wireless - 2G/3G/4G/5G courses, GSM, UMTS, LTE - Planning / Deployment; Telecom Regulatory, NFV, SDN certification and more. Information Management - Bigdata analytics, Hadoop training, Storage area network, Cloud computing etc. Academic Projects & Internships - IEEE, LabVIEW, MATLAB, B.Tech, M.Tech, MCA live projects and internships. Says S.S. Bhowmick, CIO, Nex-G Exuberant Solutions Pvt Ltd. "Skilling/training/coaching must be mandatory for every industry professional. There are two essential component of training: - 1)Sticking to basics. 2) Learning new advancement in the system. At Nex-G, our aim is to build ultimate professionals championing in the domain of Competence Development across industries worldwide." The Indian Information Technology industry, considered the country's backbone is experiencing a serious shortage of skilled professionals. A latest SkillSoft surveys says, 81% of professionals in India insist that skill training in cloud solutions is required for their career advancement. 31% of decision makers rated their organization under prepared to leverage Big Data. Having trained several IT professionals on various technological trends, Adarsh Kumar Singh, Senior Manager IT, talks about one of the milestones achieved by Nex-G in last 12 yrs.in this sector. "We trained more than 200 batches in Delhi and world wide including Wireless, Telecom technology, Mobility, IT, GIS, Sattalite, Bigdata Hadoop, Cloud Computing and more. Although, the Indian Telecom industry has emerged as one of the greatest economic success stories becoming the 2nd largest and fastest growing market, there's a growing disconnect between the needs of the employees and the skills that are available in the job market today. In an effort to narrow the existing gap between demand and supply of skills along with creating a viable ecosystem to develop a competency based framework, Nex-G trained many industry people and overseas employees to improve their competencies on data related technologies. A training project of 20 batches across India in 'Future of Data' and its increasing influence on customers and service providers was conducted based on explaining the differences between the different generations of telecommunications technologies i.e. 2G, 3G & 4G, Telecom Network Architecture and their significance for the sales person and the customer. Apart from technical skills specific to industries, Nex-G has gained Red Herring 2012 and Excellence Award 2012 for Educational programmes. Candidates may have the qualifications and 'hard skills' needed to be able to manage the job role but without a well-honed set of 'soft skills', employees are less inclined to hire. Here, Mr. Bhowmick emphasizes the importance of soft skills in the present corporate set-up, "Employers these days, while hiring candidates look beyond experience and qualifications. For a candidate to be employable, it must have good grasp of both technical as well as soft skills. He further adds, "We would like to utilize our corporate exposure in skilling fresh graduates as well as experienced candidates in preparing them for the modern corporate world in terms of Technology, sales and good attitude".